Posted April 15, 2019 by Juntu Oberg. THIS IS A CALL TO ACTION – Public comment needed to support the EXCALIBUR GRAVITY TRAIL in the Tillamook State Forest. Imagine this… A mere 35 minute drive west of Beaverton (hwy 6, just west of Brown’s camp area), starting from the top of one of the largest mountains (3300 ft) in the Oregon Coast mountain range, you drop in on a natural bed of loam, rocks, and perfect Oregon brown pow. 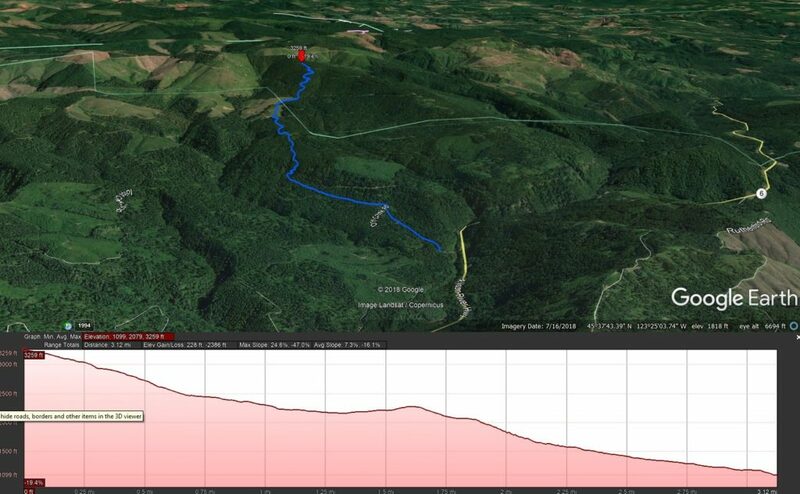 You descend, twist/turn and rally your way down a 3.5-mile downhill-travel only trail (descending over 2000 feet in elevation), loaded with natural rock drops, jumps, chunder, chutes and ripping fast singletrack through some of the best forests Oregon has to offer. The trail ends at 1200 ft in elevation where you then decide if you want to go back for more white-knuckled punishment. HERE’S WHAT YOU CAN DO: Read the Forest Grove District Annual Operations Plan (pages 26-27 & Table 8). The Oregon Department of Forestry’s Public Comment On-line survey can be confusing (but we’ve provided navigation tips below). Please complete the form to the best of your ability. Voice your POSITIVE opinion about the need for a trail like this, especially in sections #3 & #8 to make sure it your comments are recorded. To make an EVEN BIGGER IMPACT, instead of the completing the online survey write your comments of support in a letter and mail it to ODF Public Affairs, 2600 State St., Salem, OR 97310. Make sure it arrives BEFORE the May 1st deadline. The public comment period ends May 1st, so don’t wait & make sure you are heard! Section 8 is our chance to address the 5 highlighted bullet-points detailed in this Bermstyle Article. Make sure to hit the “Done” button on the bottom of the webpage.